For the Strukture site, I focused on blending collage style sections with ample white space to give the viewer 'breathing room'. This site focused on unique layouts with typography details in the spotlight. Rotating, partially underlining and using custom fonts set this site apart. Being an industry leader in the cosmetic tattoo industry required a refined aesthetic that was modern, clean, and forward-thinking. Through custom CSS (front-end) development that pushes Squarespace design past its typical style, this custom site delivers just that. Every project has special details that really push the design to the next level. 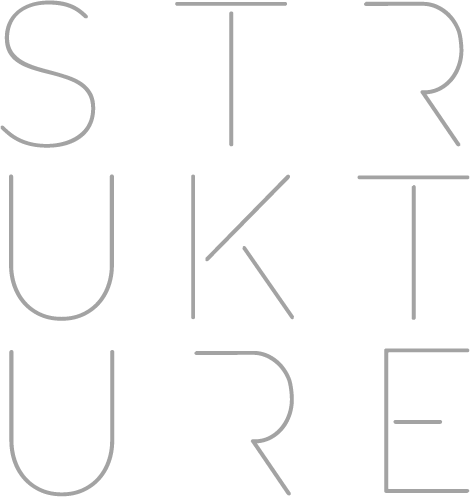 For STRUKTURE, I focused on a modern, crisp layout that would give an edge to a minimal and elegant palette. The use of a primarily neutral color palette gives the brand an ethereal and clean feeling, but we wanted to ad an element of luxury and a forward-thinking attitude into the brand aesthetic. To accomplish this we pulled in lines to punctuate the layouts and frame sections between generous white space. The goal with the brand and site was to promote the new studio, the rebrand and, of course, showcase their amazing work.